What Can Brown Do for the Herald? 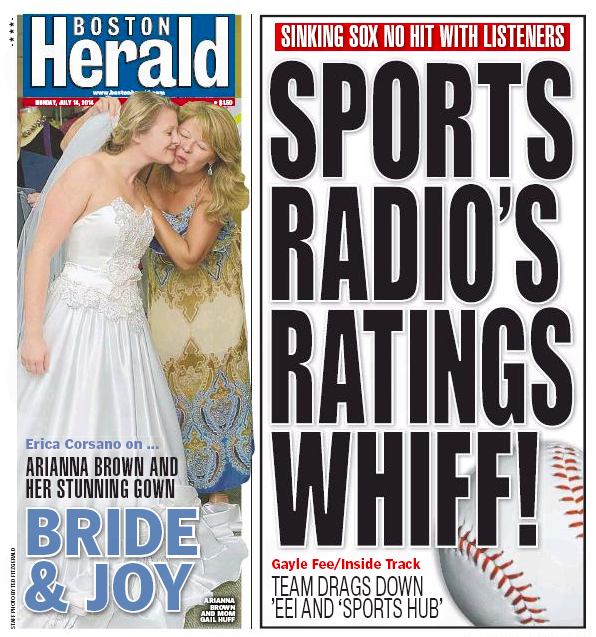 Not only is it a touching story (“The first time Huff saw her daughter in her wedding dress, she wept, she said.”), it’s also exclusive to the flouncy local tabloid. 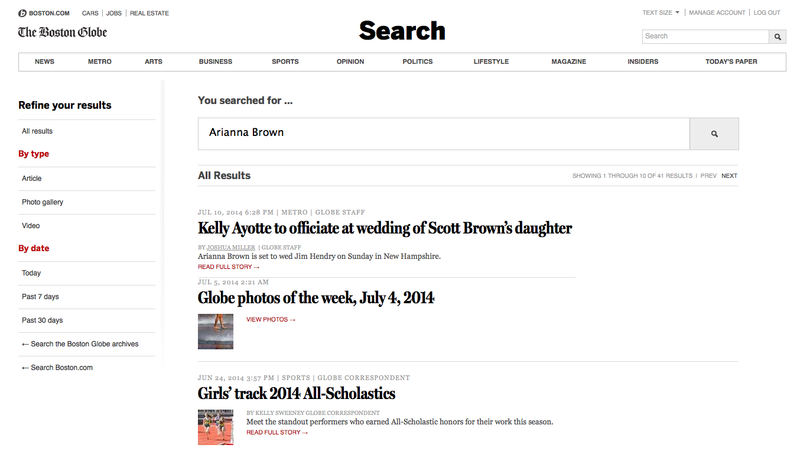 The Boston Globe got bubkes, as a search of the stately local broadsheet indicates. And so she did. You just wouldn’t know it from the Globe. This entry was posted on Monday, July 14th, 2014 at 2:06 pm and is filed under Uncategorized. You can follow any responses to this entry through the RSS 2.0 feed. You can leave a response, or trackback from your own site.